At WorldFish, we need to start by making a strong case to our own colleagues and build their commitment and understanding. A clear explanation is needed of the vision behind the gender transformational approach and how it contributes to our institutional and program goals. Case studies and other evidence should be used to demonstrate that this approach can help ensure our research has a lasting impact. A theory of change must be developed, one that plots the steps we will take along the way to achieve this. A capacity-building plan will equip staff with the awareness, capability and skills to drive this agenda forward. We don’t all have to become gender specialists, but we need to be aware of what is required of each of us and be able to access the relevant expertise as needed. By deciding who needs to do what, we can also develop accountability for delivering gender transformation. This accountability could be encouraged via performance assessments. WorldFish needs to form a new set of strategic partnerships and collaborations with others from the agricultural sector and beyond. 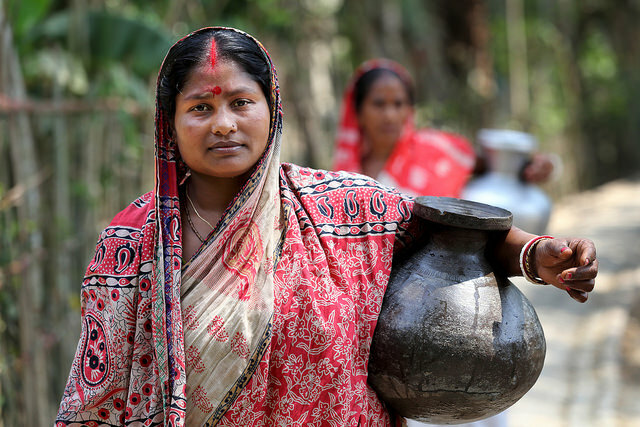 The transformational approach to gender inequality is a new concept for us, but others – particularly in the health sector – have been working with it for some time. We have a lot to learn from them. We would not expect to change norms and attitudes alone, but work with other organizations active in this area. 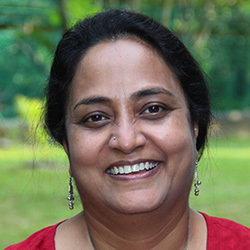 Ranjitha Puskur was a former Senior Policy Advisor for the CGIAR Research Program on Aquatic Agricultural Systems. Until Sept 2014, she led the AAS gender strategy implementation. She has been part of the CGIAR since 2002, working at the International Water Management Institute (IWMI) and then moving to the International Livestock Research Institute (ILRI) in 2005 where she led the research team working on ‘Innovation in livestock systems’. Her work focuses on generating knowledge, learning and evidence that can effectively translate into technical and institutional innovation and lead to developmental gender equitable outcomes. Ranjitha holds a Ph.D. and a M.S. in Agricultural Economics from the Indian Agricultural Research Institute and a B.S in Commerce from St. Ann’s College for Women.